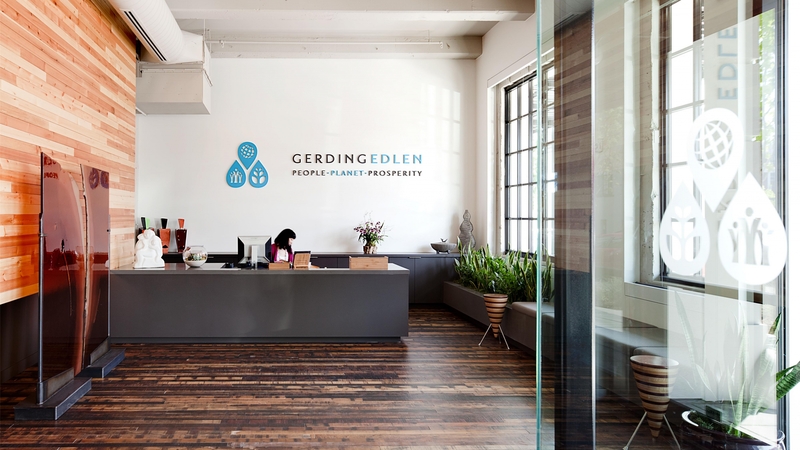 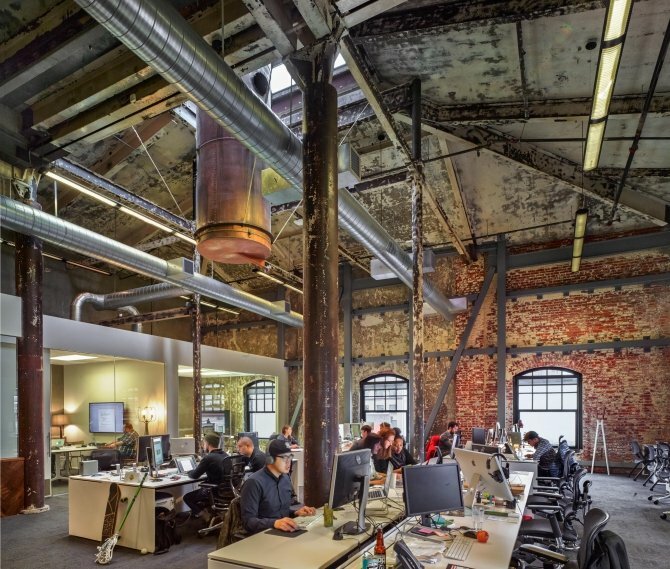 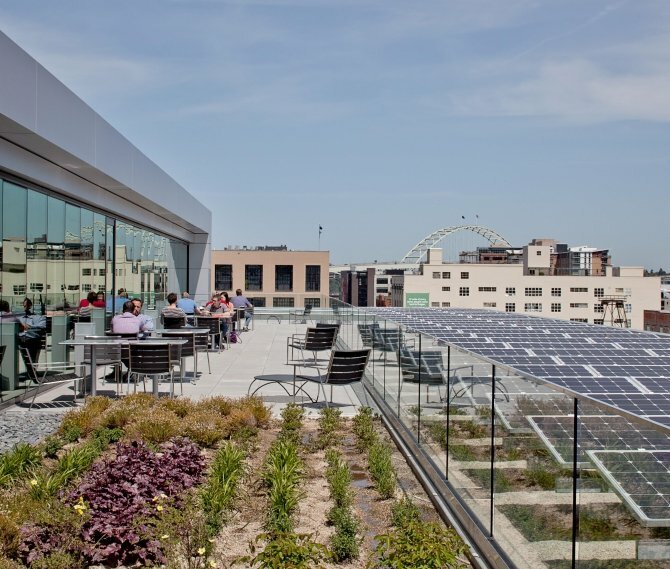 Gerding Edlen’s LEED Platinum headquarters, located at the renovated 14th & Everett building, boasts many energy efficient features, including reclaimed wood, solar panels, an ecoroof and a 160,000-gallon cistern to store rainwater for irrigation and toilets. 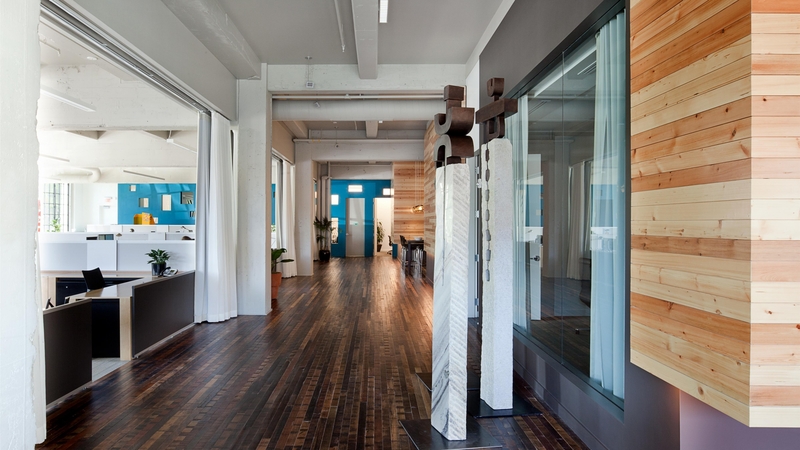 Among the most striking features are the reclaimed floors and Siberian Spruce paneling from a local wood reclamation company. 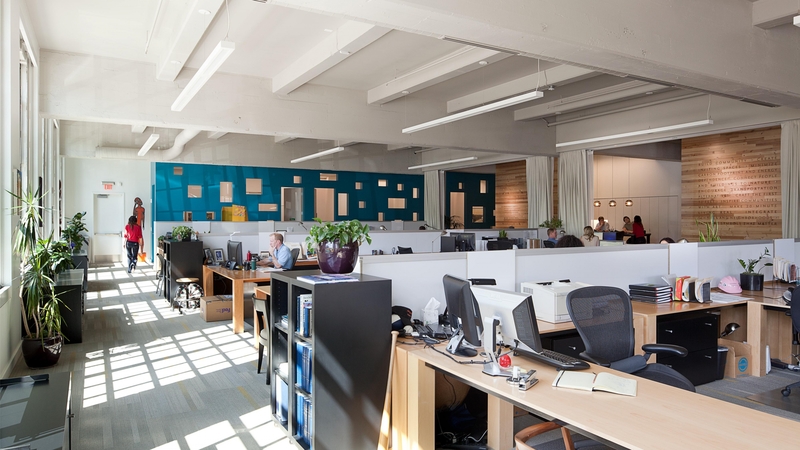 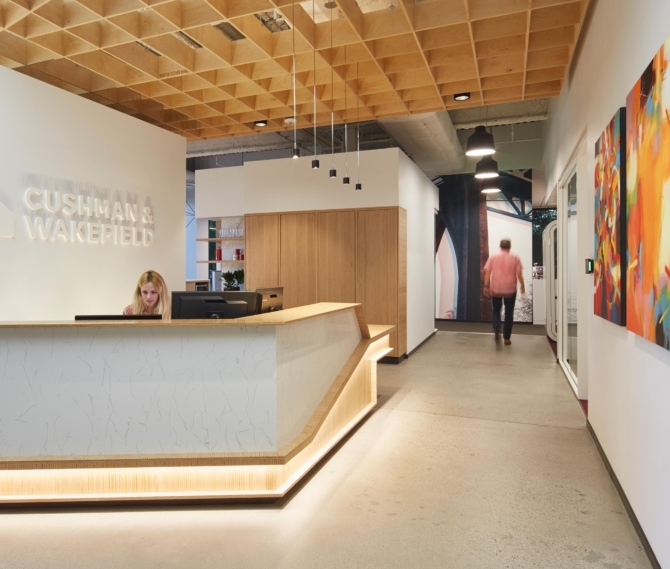 The open floor plan, without any private offices, makes the 8,300 square foot space feel even larger—allowing for project collaboration with transparent communication. 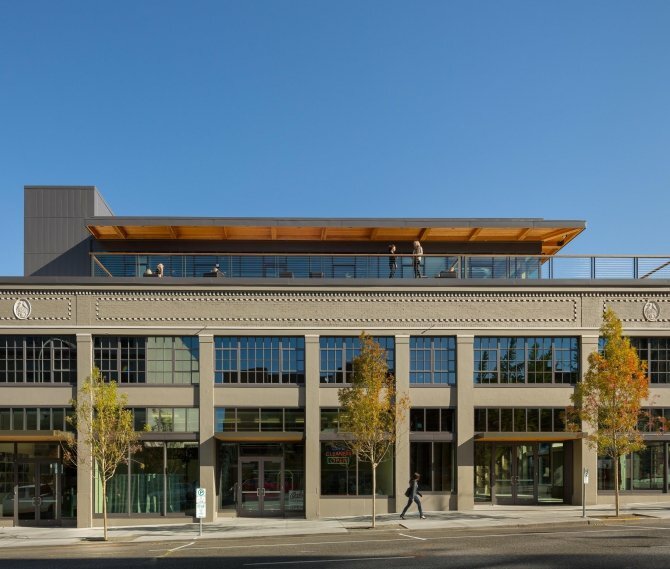 Large windows, an exposed ceiling, and zonal solar-controlled lighting add to the expansive feel. 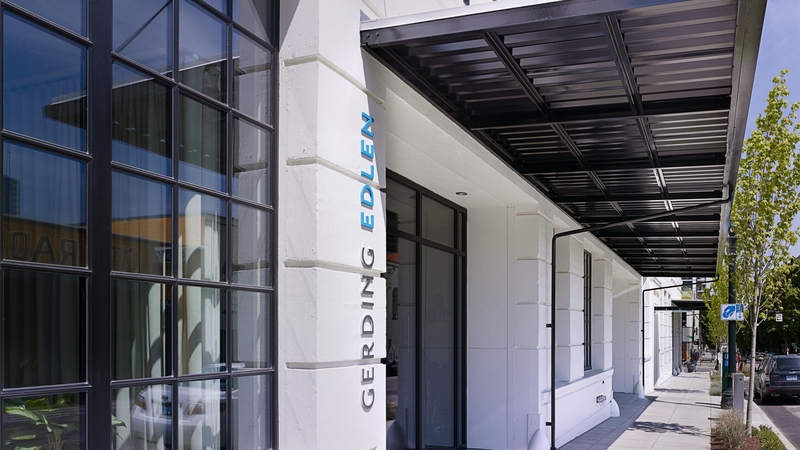 Gerding Edlen’s space is split into three distinct zones: entrance/lobby, gallery, and office. 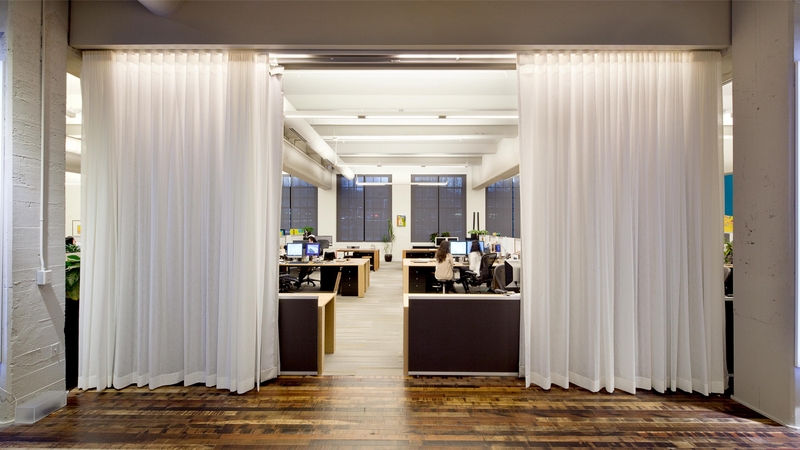 The gallery area can be separated with panelized drapery, which is useful for office parties and functions.